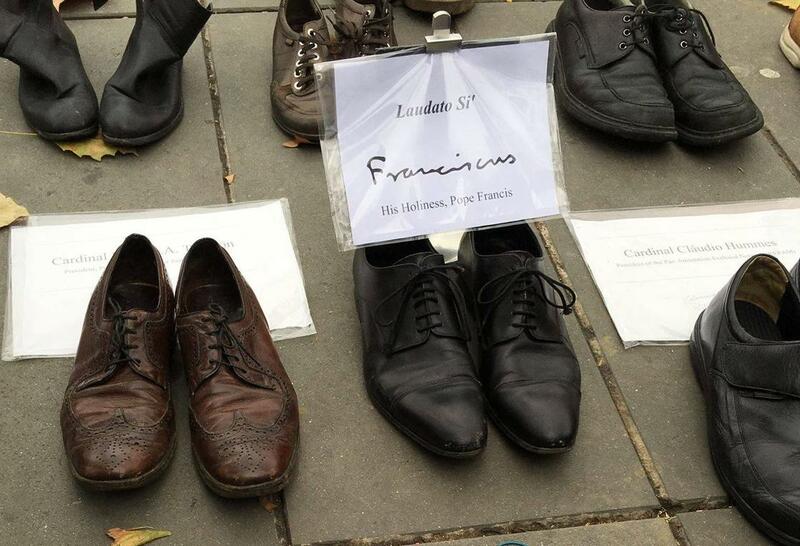 Pope Francis just participated in the Global Climate March, by sending his shoes to join the thousands of shoes displayed at the Place de la République in Paris. 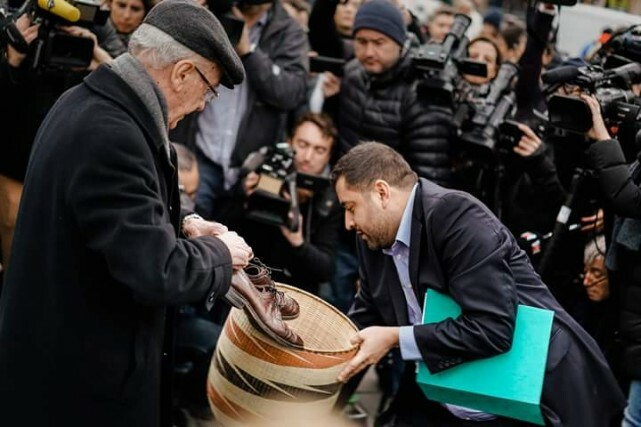 The shoes were on display to represent the 300,000 Parisians who were supposed to begin the Paris Climate March from that location. The march was cancelled by the French government in the wake of the terrorist attacks. It was Cardinal Hummes who brought the shoes (together with the shoes of Cardinal Turkson and Cardinal Hummes himself, located on the left and right of the Pope’s shoes). It is a beautiful symbol that it is Cardinal Hummes, a Franciscan, who was the Pope’s ambassador today. When the new Pope was elected on March 13, 2013, Cardinal Hummes, who was sitting next to him in the Sistine Chapel, whispered to the Pope, “Don’t forget the poor!” and the Pope said that immediately he remembered St. Francis of Assisi and “the name Francis came into my heart”. 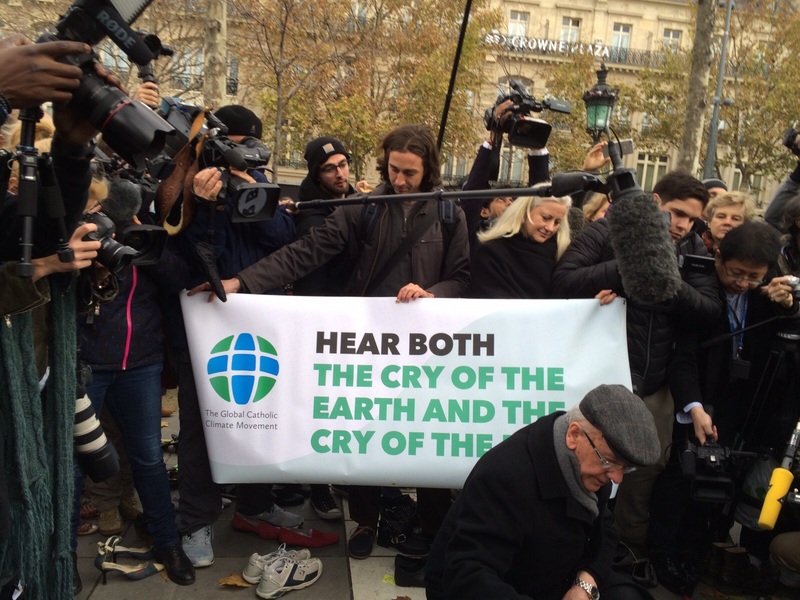 Cardinal Hummes attended the march together with the Global Catholic Climate Movement, after yesterday’s emotive petition delivery event. 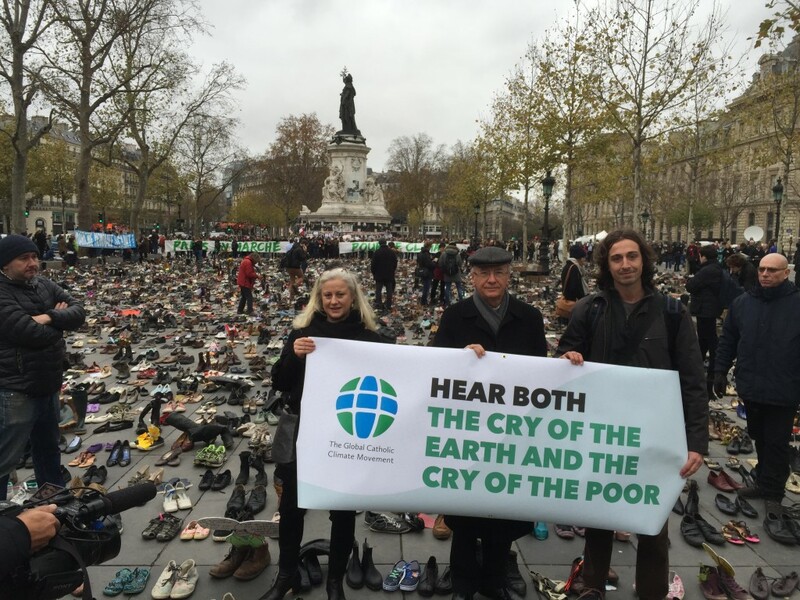 The Laudato Si’ quote “Hear both the cry of the earth and the cry of the poor” was the background message behind the Pope’s shoes ceremony. 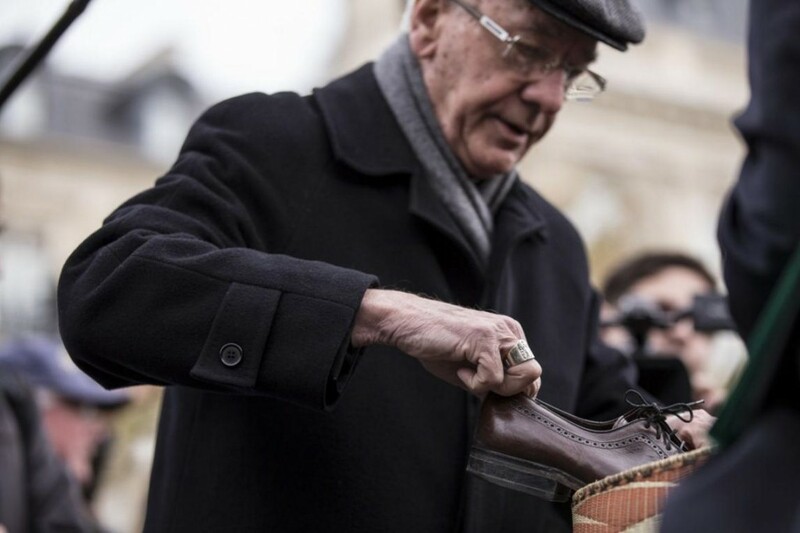 Cardinal Hummes and the GCCM team posed for a final picture in front of the thousands of shoes at the Place de la République in Paris, in memory of the victims of the recent attacks and in solidarity with the 2ooo rallies that happened today all over the world.